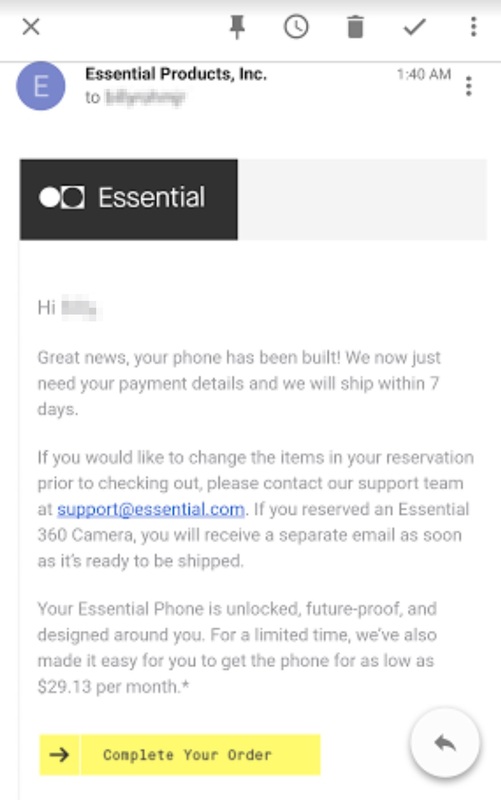 Last night, just as we were passing out here on the west coast, Essential started emailing those who made a reservation for the device, letting them know that they could now place an order and receive their phone within 7 days. 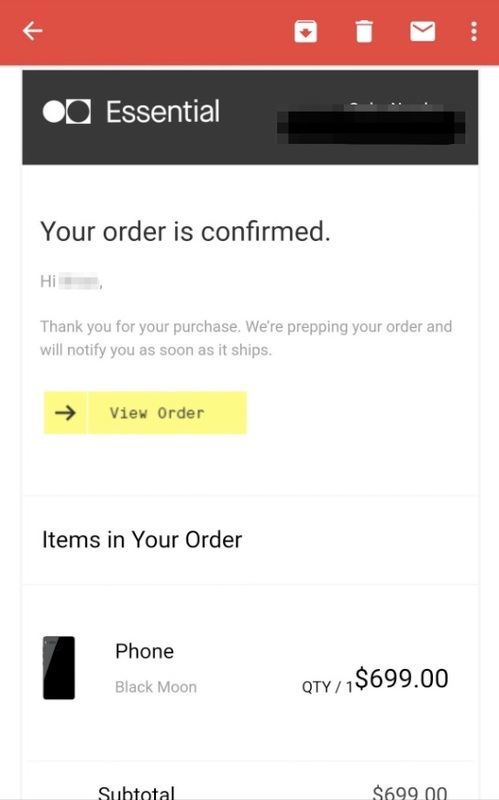 A bunch of our readers confirmed that they received the emails, with a few even dropping the $699 immediately to ensure their order was one of the first. Finally, as you may have already figured out, the only people who are allowed to buy the phone at the moment are those who reserved one. 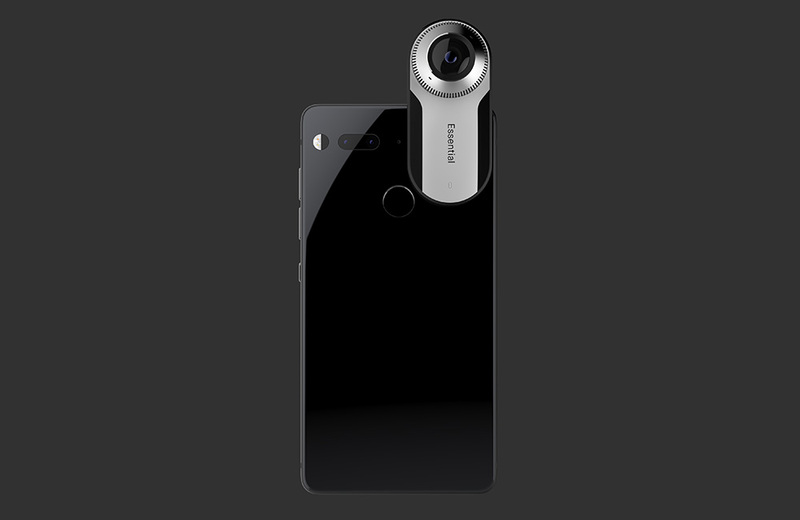 If you are just now jumping on the Essential bandwagon, you are likely out of luck at the moment. 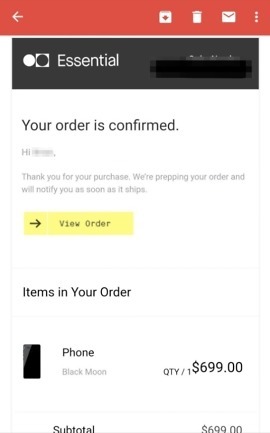 Essential hasn’t opened up general orders by any means – this is a reservation ordering period only. 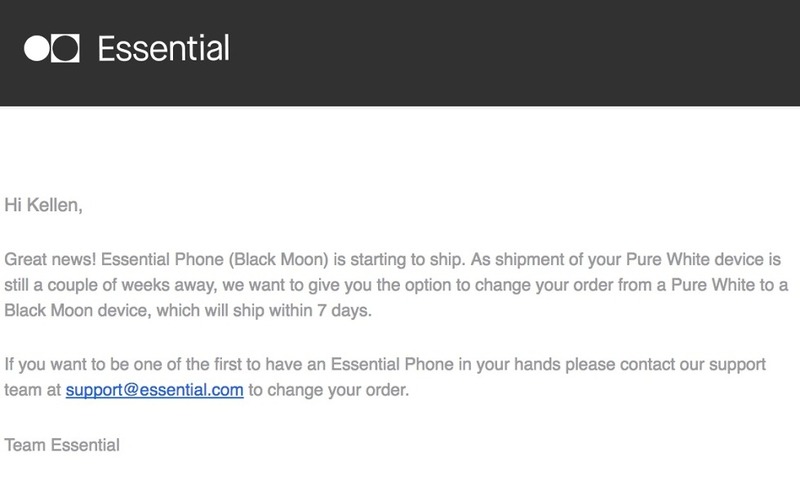 To put it simply, if you want Black Moon and reserved the Essential Phone, you can buy one right now. Go check your inbox. If you wanted Pure White, that’s just not ready yet. If you don’t want to wait for it to become available and instead will be satisfied with Black Moon, you can email Essential at the address listed above to have your order changed. If you failed to get in on the early reservations, well, you’ve got more time to wait. Mind you, this is all happening without Essential actually announcing anything. At this point, I’m assuming they’ll make some form of announcement today, though it’s impossible to tell with these guys. But yeah, you can buy the Essential Phone! Well, some of you can. Cheers Billy, Brian, and everyone else!